Double Door Pizza Oven, Through Wall Oven. Made in L.A. Free Shipping! 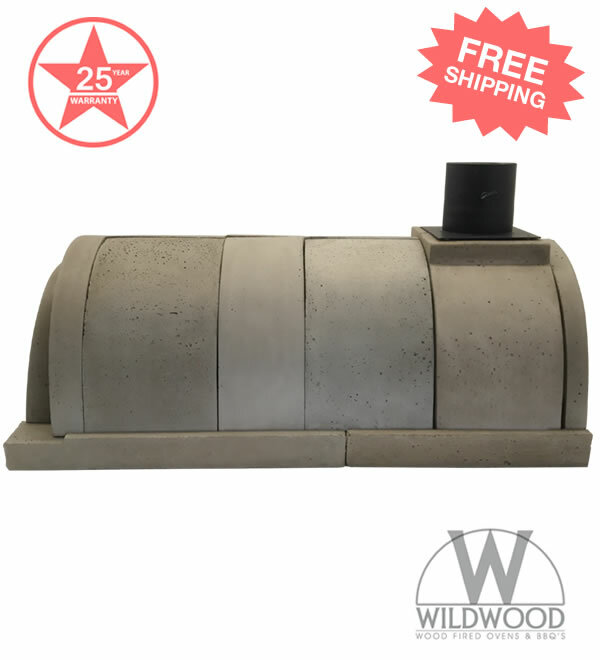 Wildwoods Double door pizza oven is a very practical pizza oven. 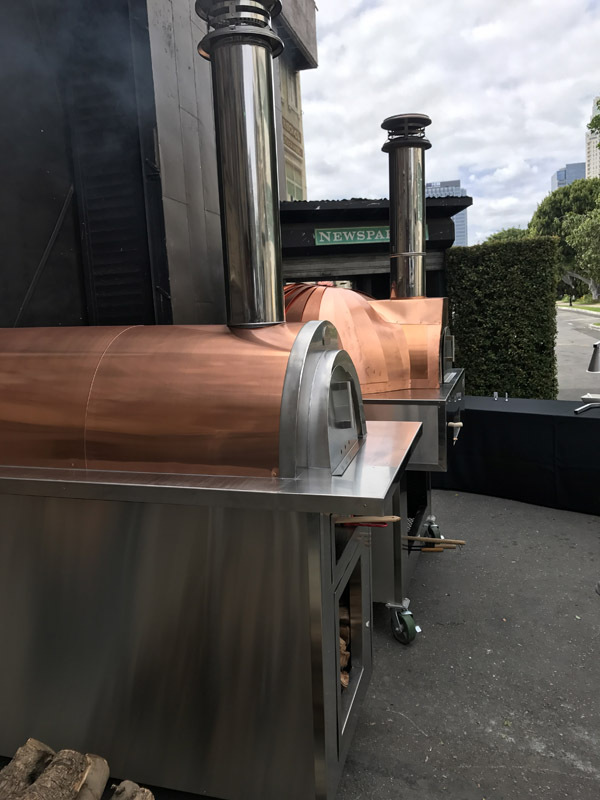 Now you do not have to decide if you want an outdoor oven or an indoor oven, Our Roma double door pizza oven solves this problem. Great for indoor cooking when the weather is cold. When the weather is warm cook outdoors. This unique design allows the vent to be placed either indoors or outdoors. 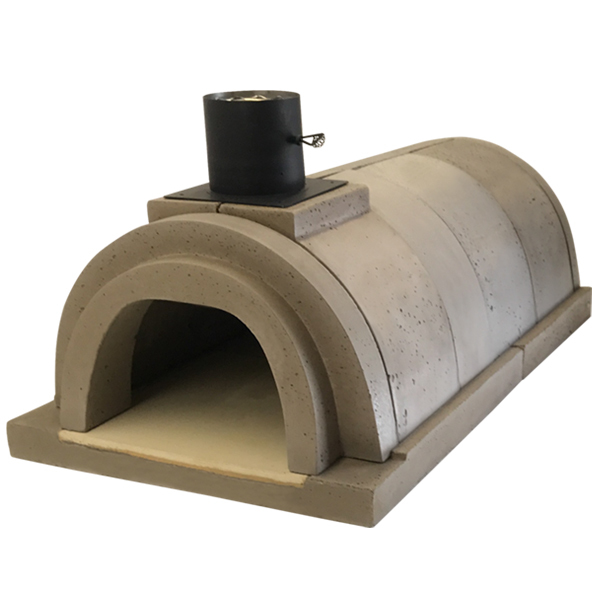 Placing the oven chimney vent outdoors eliminates the need for penetration the interior ceiling and roof, this creates a cleaner look as there is no exposed chimney pipe to see. 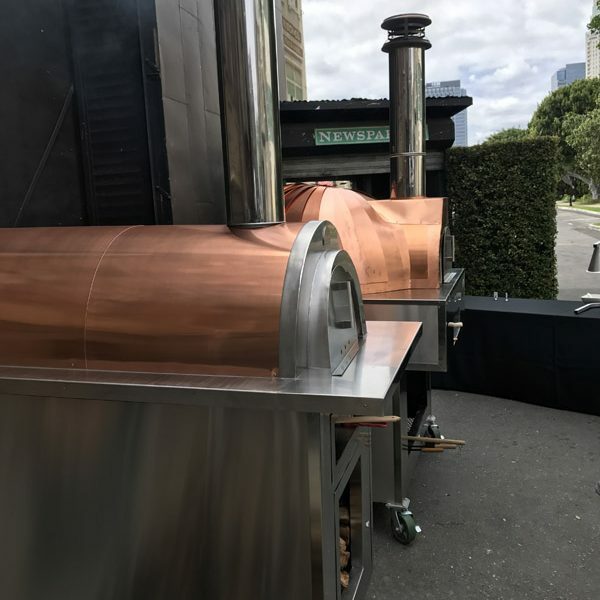 This double door pizza oven features one insulated oven door which is very effective at retaining the heat and keeping cold air out. 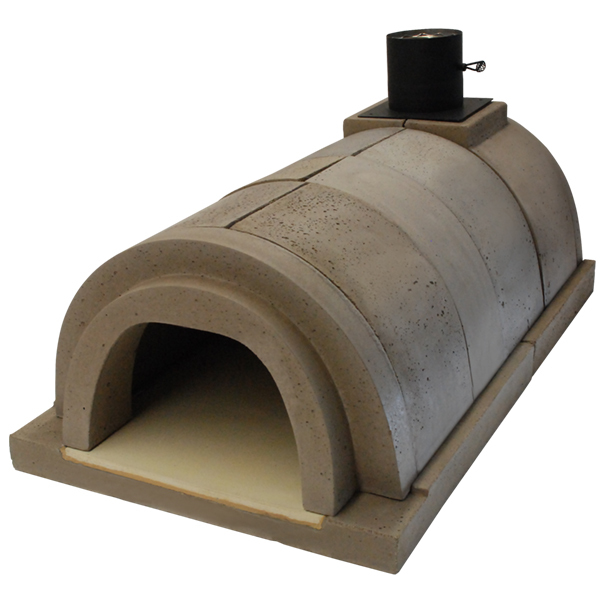 Based on the ancient Roman ovens found throughout Italy and France, this unique TUNNEL design is incredibly efficient. The long design is excellent for baking baguettes as well as round loaves. This oven is also available in a catering model. 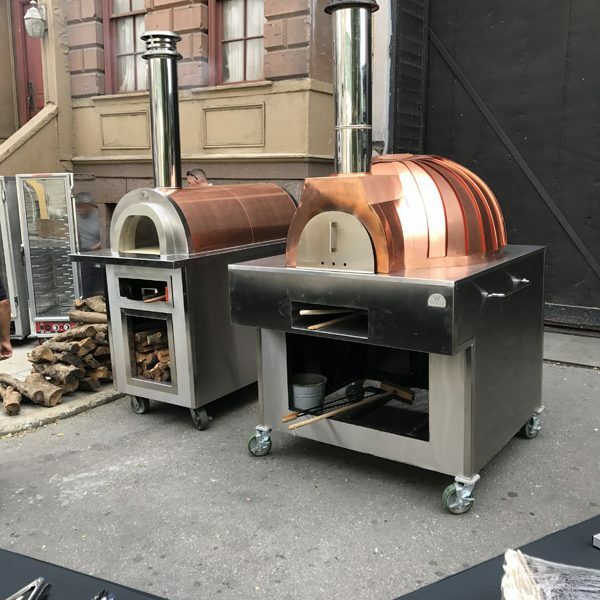 Catering chefs can cook from both sides at the same time, which increases pizza output significantly. The compact size allows it to fit through a standard 42″ wide door. Measures 30 x 60″ Long. 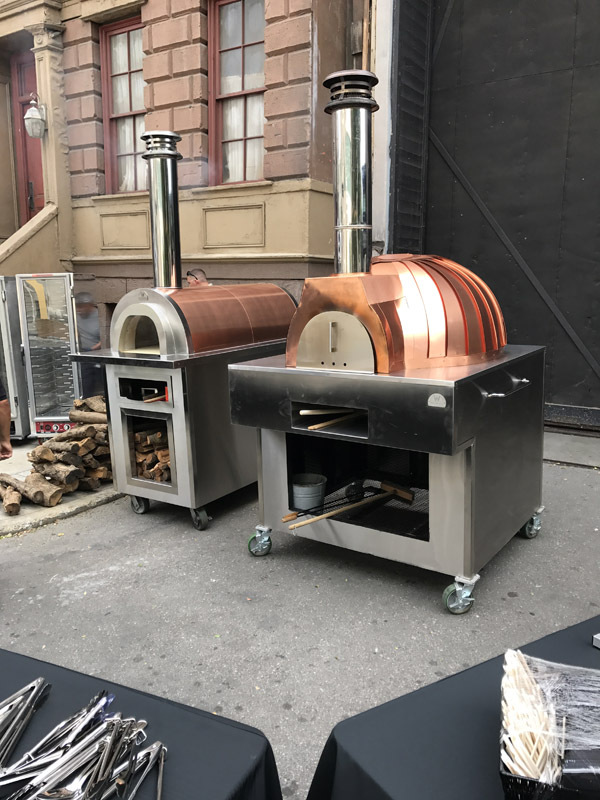 Like all the Wildwood ovens our double door pizza ovens features FOOD SAFE hearth tiles and our proprietary refractory concrete with HEAT PILLOW technology. That means your oven heats up fast and stays hot longer! 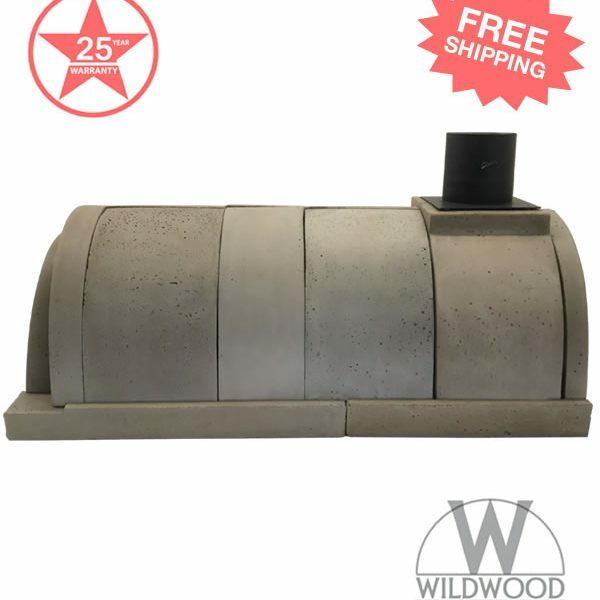 Since 2002 Wildwood has been setting the standard for high-performance wood-burning ovens. UL listed for safety and our exclusive 25-year warranty ensure peace of mind and generations of great cooking. Give us a call or send us an email to find out more!